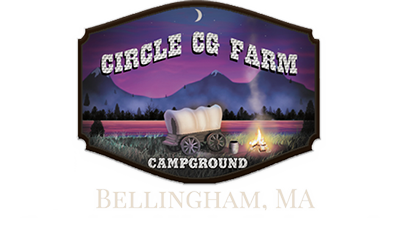 Welcome to Circle CG Farm! 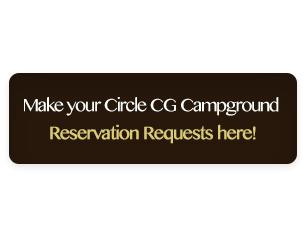 Circle CG Farm Campground welcomes you. Tucked away in Bellingham, MA, we invite you to join us for some rest and relaxation at our 30 acre, 150 site RV park. 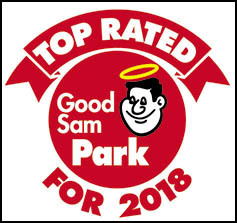 We offer fine family camping just 1 hour from Boston and 45 minutes from Cape Cod! 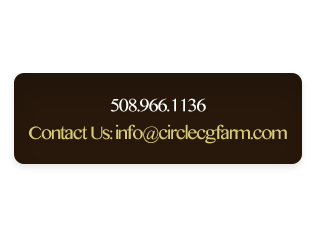 Circle CG Farm was founded in 1968 by Cliff and Marion Grover and is now run by 2nd generation Rob and Linda Daley, while 3rd generation, Peter Daley is preparing for succession. Come explore a taste of the past and a little piece of the ole West. Kick back and enjoy a campfire cooked meal or just relax by the fire. Don’t forget the s’mores, and be sure to visit and learn about our four-legged friends here at Circle CG Farm!